Exhibited: “Daingerfield Collected”, April 9-July 24, 2016, Blowing Rock Museum of Art and History, Blowing Rock, NC. Comments Exhibited: “Daingerfield Collected”, April 9-July 24, 2016, Blowing Rock Museum of Art and History, Blowing Rock, NC. 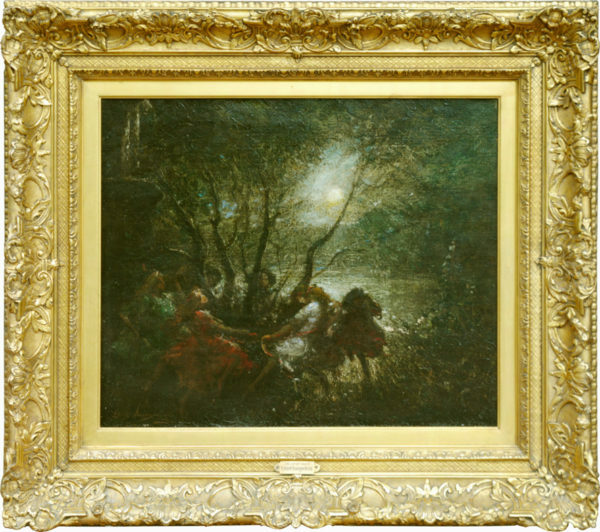 This painting is in excellent condition in a very fine period gold frame also in excellent condition.